Floyd Money Mayweather is done as a boxer, according to his own words, so why not take a vacation with one of your best buddies? 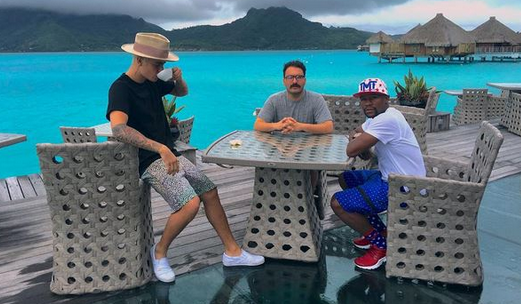 TBE and Bieber jetted off to Bora Bora for some exciting and beautiful fun on the water. They even engaged in some cool Karaoke as well.